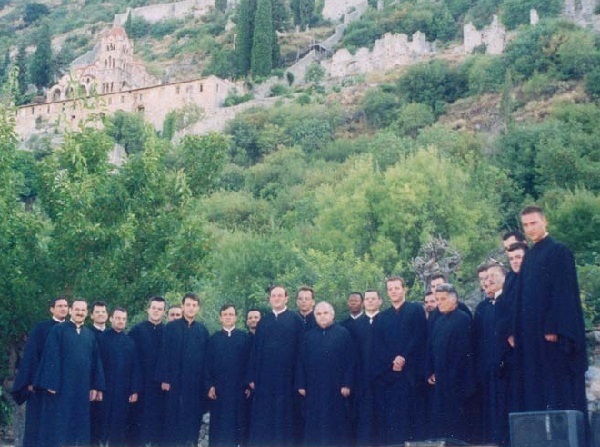 On the occasion of the feast of the Transfiguration, the Greek Byzantine Choir, under the direction of the late Lykourgos Angelopoulos, Archon Protopsaltis of the Most Holy Archdiocese of Constantinople, sings, in plagal tone three, the verse from the Psalms ‘Lord they will walk in the light of your countenance and rejoice all the day long in your name’, from the Selection of Psalms for the Lity. The musical setting is by Ioannis Koukouzelis (c. 1280 – c. 1360). From the live recording of a concert at the historic town of Mystra, 6 July 2003.